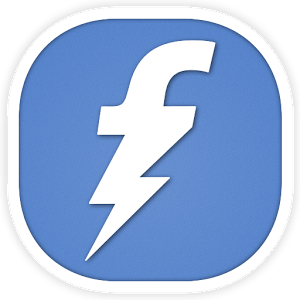 Freecharge is well known for it’s discount and cashback offers.Many of those coupons are valid once per user and mobile. So here is 100% working trick to use same freecharge coupons multiple times on single device. Note that it will not work for all coupons since some promo codes are account specific (credit or debit cards). Those which are device specific will surely work (like FIRST30, GETFC50 etc). 1) After using coupon, just goto settings > freecharge > clear data. Freecharge is now tracking device id as well as imei number so that we can’t use generic coupons multiple time. Firstly, your android device should have proper root access. After rooting, download Titanium Backup app or any device id changer application from google play and change id. Now it’s time to change imei number (It’s very risky guys, do it on your own risk. I’m not responsible for any damage). For changing imei, refer this article. Now clear freecharge data and launch app. Sign up with new mail id and password. Now you can use generic coupons like GET60 or GET2050 multiple times. Use Virtual card so that freecharge can’t track your debit cards. yaar ye vala freecharge to ye kah raha h ki “refrel programme is uder maintaince and being revemped. Trick is already shared above.. Be careful because it’s full of risk!! .in my town here a man tracking ssid of mobile without changing imei .and reacharge done by freecharge multipul time on one promocode i don’t know how they do it .he wants 10000 rupees for tracking this. where i can find google settings in micromax bolt handset bro? You can find it in menu itself. Can I use same debit card in multi time? Not sure but just give a try… It might work… Try on small recharges… I will recommend virtual card. plz mention a safe virtual debit card creator website. I have a one sbi bank account. can i use my account in another virtual debit card ? please inform me how to Steps To Use paytm and mobikwik Coupon Codes Multiple Times in one device and also this trick use today in paytm.com, but do not work.so i request to you please inform me. Paytm now requires mobile number and email verification. So we can’t use codes multiple times on Paytm. Only way is to register new account every time with new mobile number. so admin you have any new trick.? Yes Swapnil but it’s little bit difficult… Any way, I will update it soon..
the tricks for changing Advertising ID is not working for today? is there any new tricks? Is this still working now or not? in my mobile it is not working anymore. Yes it’s still working but only on generic codes like GETFC50 , DTHOCT etc. Try on different mobile numbers and different accounts from same device. DON’T FORGET TO CLEAR DATA EVERY TIME.